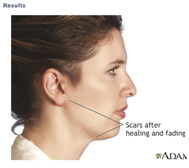 A rhytidectomy, or 'facelift', is a procedure used to reduce flabby or sagging skin around the face and neck. The procedure is usually carried out under general anesthetic.A facelift can be done alone or with nose reshaping, a forehead lift, or eyelid surgery. As part of the aging process that happens to all of us sooner or late, our skin progressively loses its elasticity and our muscles tend to slacken. The stresses of daily life, effects of gravity and exposure to sun can be seen on our faces. The folds and smile lines deepen, the corners of the mouth droop, the jaw line sags and the skin of the neck becomes slack. Around the eyes, the eyebrows droop and the skin of the eyelids gathers in loose folds. In the skin the first sign is fine wrinkles developing around the lips, at the outer corners of the eye and lines of expression. The rate at which this happens varies from one person to another and is probably determined by our genes. Aging of the skin of the face does not necessarily reflect the rate that the rest of our body and mind is ageing and many people feel frustrated that the face they see in the mirror is not the one they feel should be there. Substantial weight loss can produce similar changes in facial appearance to those of the aging process. The best candidate is one whose face and neck has begun to sag, but whose skin still has some elasticity and whose bone structure is strong and well defined. Most patients are in their 40's to 60's, but facelifts can be done successfully on people in their 70's or 80's. 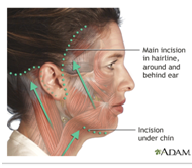 There are many different kinds of facelift, but generally incisions are made above the hair line at the temples, extending under and behind the ear and into the hairline. The skin is then pulled backwards and upwards before being stitched into its new position. The procedure can take up to six hours to complete and an overnight stay in hospital is usually required. Most surgeons will bandage the face to minimize bruising and swelling. These bandages will stay on for one or two days and the stitches are removed after seven to eight days. Drainage tubes will be removed a day or two after surgery. There will be swelling around and below the eyes, which gradually resolves in about a month. There will also be scars beneath the eyelashes of the lower eyelid and sometimes in the upper gum line. There is a slight risk of damage to the nerve that supplies the muscles of the forehead. This weakness is usually partial and temporary, on rare occasions it may be permanent. 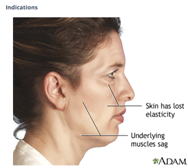 After your surgery there is usually some bruising of the cheeks and with gravity this tends to descend into the neck. 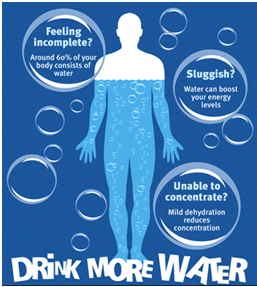 Discomfort is usually mild and can be controlled with Paracetamol. It is normal for there to be some numbness of the skin of the cheeks and ears. This will usually disappear in a few weeks or months. It is better to keep the head elevated for a couple of days to reduce swelling. Avoid strenuous activity, saunas and massage for at least two weeks. Keep physically active and fit to delay signs of sagging, loose skin and weight gain. 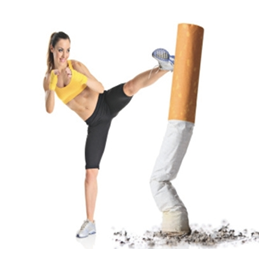 Quit smoking and keep your weight in the desired BMI range. You will have to follow strict instructions for faster wound healing following surgery. Maintain a full and balanced diet for over all health and well being. Eating in moderation will help you feel satisfied and at the same not overweight. Eat a diet suited to your age, gender, ethnicity, body type and most importantly medical history.